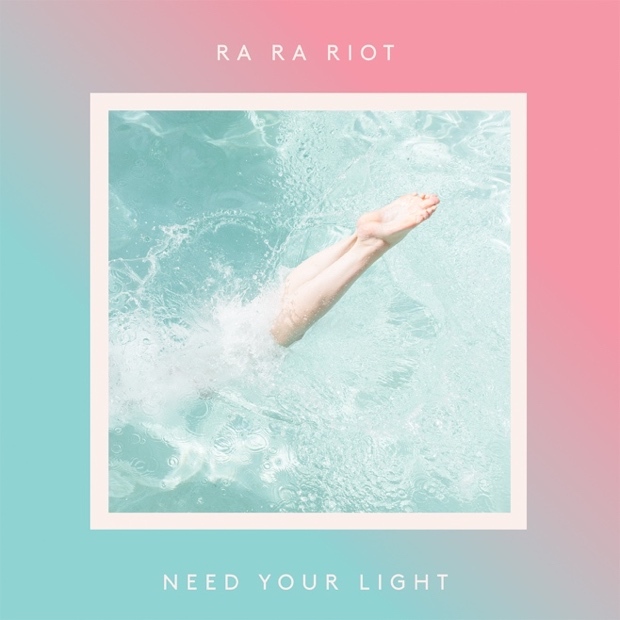 Released on February 19th, Need Your Light is the fourth album from indie rock band Ra Ra Riot. The band’s latest release has cemented their departure from their earlier Syracuse roots in baroque-pop towards a hip, Brooklyn-based synth-pop, this new musical identity first explored in their previous album Beta Love. Need Your Light is superior to Beta Love in numerous aspects, and embraces the synth-pop style with far more ease. However, the latest album is imperfect even in its triumphs. Need Your Light opens with some extremely strong tracks. Ra Ra Riot chose to collaborate with two producers they knew well—Ryan Hadlock produced their stunning 2009 record The Rhumb Line, and Rostam Batmanglij, the former keyboardist of Vampire Weekend, previously collaborated with Ra Ra Riot frontman Wes Miles in their duo project, Discovery. These two musical voices clearly influence Need Your Light’s musical content, as the album features both string elements reminiscent of Ra Ra Riot’s earlier work as well as writing collaboration between Miles and Batmanglij on two of the album’s strongest tracks (“Water” and “I Need Your Light”). “Water” unfolds beautifully, with a persistent handclap in the background encouraging listeners to sing and dance along to the easy-going track. It hints at synths in the chorus, but never compromises its laid back groove—that’s for later in the album. The song segues perfectly into another hit single, “Absolutely,” a poppy feel-good anthem that will still be playing from car radios deep into this far-away summer. “Foreign Lovers” is Ra Ra Riot circa The Rhumb Line though far more polished. Its punchy bass and guitar/strings/synths interjections portray an interesting sonic interplay. “I Need Your Light” is another collaboration between Miles and Batmanglij, and has a repetitive but powerful structure. The title track’s repetitive opening transitions into strong percussion with ethereal, delayed synths overhead, eventually creating an atmosphere for Wes Miles’ voice to soar through. The buildup transports us to a euphoric dance breakdown til the end. “Bad Times” is highly produced, lacks a strong hook, and is structurally simple (like a normal pop form), but shows off the band members’ individual musical and instrumental strengths. “Call Me Out” is a unique track, featuring a pizzicato motif outlining the harmony joined by tasteful strings and tasteful electronic effects. A highlight of the track is its contrasting chorus during which the band shines with 80’s rock-stardom, sounding like American rock band Journey in moments. Unfortunately, the latter part of the album is significantly weaker than the several tracks preceding it. “Instant Breakup” is a bittersweet track, melancholy and highly danceable, yet not memorable. In “Every Time I’m Ready to Hug,” a clap backbeat and a huge fuzzy bass push the song forth and pave the way for a tasteful, arguably catchy chorus. Regardless, this track’s vocals are irritating and strained, particularly during the chorus. “Bouncy Castle” starts off with an interesting pronounced bass motif and some unassuming vocals (though strange lyrics), drums, and synths. During its choruses, the track grabs ahold of an invincibility star à la Super Mario and momentarily shifts into, dizzying euphoric, chunky, synthy, bubblegum, arcade silliness, and the listener is unsure of the song’s direction. “Suckers” ends the album with powerful gauzy synths and not much else on the musical front, though it is a funny song dedicated to any disinterested audience members who attend their live shows. All in all, Need Your Light is a strong production, though imperfect. Fans of The Rhumb Line will have their moments of recognition, and those unsure about Ra Ra Riot’s move to synth-pop may be more convinced after hearing this album. This entry was posted in Reviews and tagged Brooklyn, Indie, Need Your Light, New, Ra Ra Riot, Syracuse on February 25, 2016 by librarian.